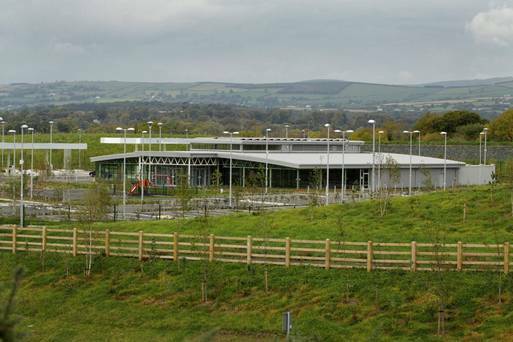 Almost €700,000 has been spent on the upkeep of the unoccupied M11 Gorey Motorway Service Area since the completion of its build. The service area was completed by BAM in May 2015 and taken over by Transport Infrastructure Ireland (TII), formerly the NRA. A Freedom of information request has revealed that at the time of March 22, 2019, the cost of electricity, maintenance and security for the service area had amounted to €689,680. Speaking about these costs Raymond Foley of the TII’s regulatory and administration unit said, “These costs are necessary to safeguard the expenditure already invested in the Gorey Service Area”. The construction by BAM was part of a four prong project, consisting of the Construction of M11 Motorway from Arklow – Rathnew, Upgrade of existing N11, Upgrade of N7 Newlands Cross Junction and the Construction of Gorey Service Station. The total price for this work was approximately €250m. Though TII claimed that they could not under the FOI request give the total cost of the service area build, they did disclose that the procurement of the land amounted to €1M approximately. Chairman of the Ballyellen Residents Association, Tadhg Ó Scannáil said, “It’s an absolute disgrace, we (the tax payers) are paying for something that hasn’t served us in any way. Why do they need to turn on those light that keep my family awake every night and have a 24 hour security guard when the truck stop isn’t open?”. According to the TII, the service area has remained unopened because “a tenderer, SuperStop 2 Consortium, issued legal proceedings seeking judicial review of the process to identify the preferred tenderer”, a process which initially identified Topaz the “suitable organisation to fit out and operate the Gorey Service Area”. Following the conclusion to the judicial review, which was issued in August 2015 prior to the final award of the contract, Circle K, agreed to purchase the tender and to make the service station their biggest in Europe. FoI in Europe: Let’s find a new unique market of Information.